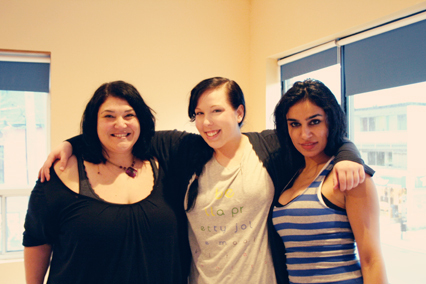 I attended my first ever yoga class last night with my sister, and it was ah-mazing!! We attended a trial class by the newly formed YogaZonePLUS for only $10. The class is led by two fantastic ladies (and total superstars): Suzanne and Mary. love this picture I snapped of Suzanne pre-class. Another pre-class shot. 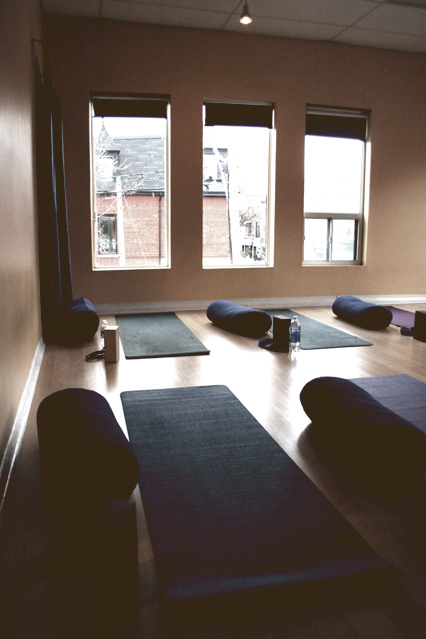 The studio at 509 Bloor Street West. After Class! Left to Right: Suzanne, Me and Mary. 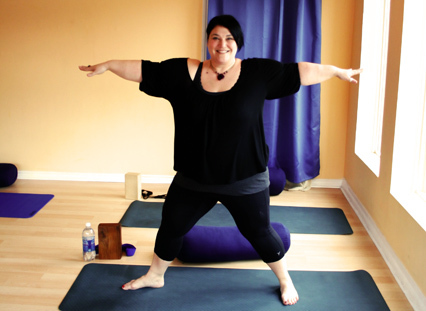 Suzanne suffered a personal injury a few years ago, and while doctors perscribed pills she found yoga. After leaving a local yoga class feeling like a misfit, she thought up YogaZonePLUS, a place where women like herself could practice in a judgement-free zone. Genius I tell ya! I've always wanted to try yoga, but have been too intimidated to attempt a class, so when I was introduced to YogaZonePLUS I really couldn't help myself, especially when there was no commitment with the $10 trial class. It's a small class of 9 (max.) and a full-on intro to yoga for beginners like myself. They taught us how to incorporate the strap, the block (if needed) and described the names of each of the poses as we progressed, personally adjusting each student as required. I loved every moment! So much so that I didn't get any shots of the actual class going down (sorry! ), but here is an after shot of all the awesome people I got to meet. YogaZonePLUS runs an 8-week beginners workshop starting in April, and the spots are filling up fast! You can register for the workshop or for the trial class online at yogazoneplus.com. Oh, and did I mention?! 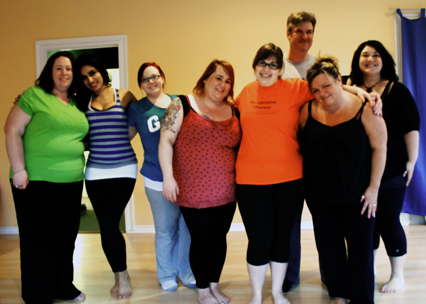 this isn't a class geared towards weight loss, this is a feel-good, all-zen kinda class. The best kind if you ask me. Hope to see some of you there! I'm hooked. *disclaimer: I received no compensation for this post. This is my true and honest opinion. you totally just gave me flashbacks to my first years in Toronto lol I only came from like 40 mins away from here, but it was a total life adjustment. how long have you been in TO? As for the class, doooo it. even if it's just the trial class, so worth it! how cool that she didn't wait but created something herself. 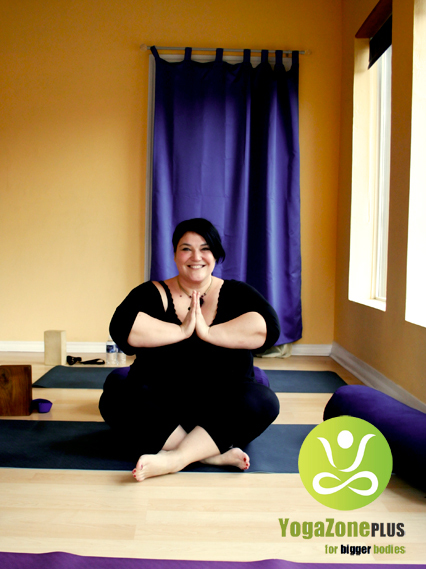 we have a place here in chicago that offers plus size yoga. i have yet to try it but it is on my list.